An everloving Dad, mentor and friend to (Minny) Katerina and (Podge) Damien. Taken tragically one year ago. 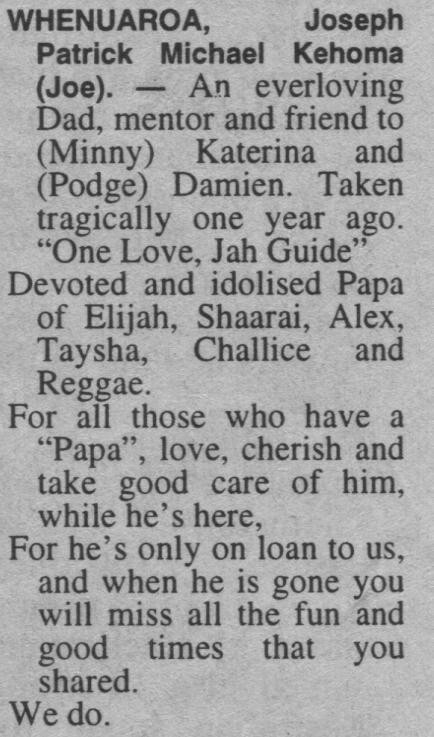 Devoted and idolised Papa of Elijah, Shaarai, Alex, Taysha, Challice and Reggae. For he’s only on loan to us, and when he is gone you will miss all the fun and good times that you shared.